Craig McDougall is a Hydro Nation Scholar working within the Environmental Sustainability and Human Health research group at the University of Stirling. 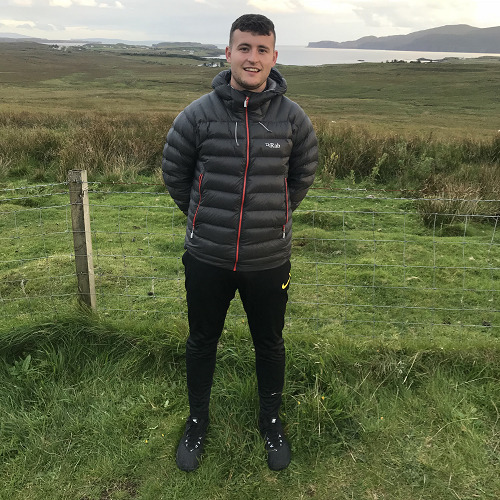 Craig’s PhD aims to investigate the health and well-being and wider social economic benefits provided by Scotland’s inland waters. He will adopt a range of quantitative and qualitative methods, with significant community and stakeholder engagement, to understand the importance of inland water bodies to rural communities and across different water user typologies. Furthermore, Craig will undertake scenario analysis to explore how variations in water quality, driven by land use and climate change, can impact the provision of health and socioeconomic benefits from inland water bodies. Prior to undertaking a PhD, Craig obtained a B.Sc. (Hons) in Environmental Management from Glasgow Caledonian University. His undergraduate research focused on access to green space in urban areas and more specifically, green space accessibility for children. After graduating, Craig worked for an environmental testing company as an air emissions analyst.